Led by Dr. Ravinder Singh, the team at Beverly Hills Headache Institute Premier Neurology Group offers specialized care for a wide range of neurological needs. For many men and women in Beverly Hills, California, entrusting any other practice with their neurological care is simply not an option. At Premier Neurology Medical Group, you’re treated as an individual, not simply a collection of symptoms. All treatment is provided with a holistic, integrative approach. Dr. Singh understands that human health and wellness is a complex, dynamic, and interconnected matrix. From finding relief from chronic headaches to managing epilepsy or the aftermath of a stroke, your treatment path looks beyond the quick fix. Determining the root cause of your condition is key to finding an effective and lasting path toward restored function. This approach is what makes Premier Neurology Medical Group such a special place. The practice uses a unique blend of cutting-edge Western medicine with time-honored Eastern healing traditions. 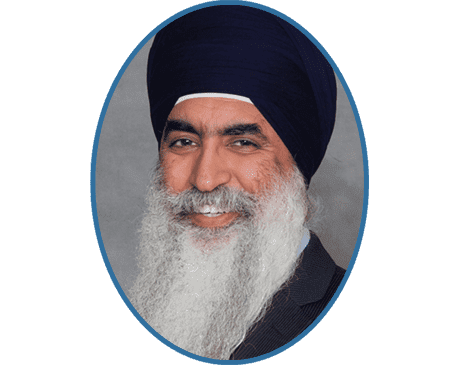 Dr. Singh has shaped a long and successful career around the concept of reaching and maintaining optimal balance between his patients’ physical, mental, emotional, and spiritual realities. The team at Premier Neurology Medical Group is passionate about the power of holistic, integrative medicine to create life-altering outcomes. If you’re ready to explore how this medical approach can improve your life, schedule an appointment at your earliest convenience. Early on in his practice of neurology, Dr. Singh recognized the limits of Western medicine and sought to provide a more complete care to his patients. Being a certified stress and wellness consultant, trained by the prestigious Canadian Institute of Stress, he utilizes his knowledge of Western and Eastern medicine, and his studies in stress and wellness medicine to help people achieve greater satisfaction in their lives, and achieve truly long-lasting optimal health, with emphasis on disease prevention. He provides individualized yet systematic solutions that are leading edge, scientifically-based, and proven in the real world. These very pragmatic and result-oriented solutions and skills are immediately applicable and geared towards high-speed success. Dr. Singh has given over 100 presentations on the topics of stress management, stroke, headache and epilepsy to the medical community. He has been an invited lecturer at over 100 hospitals and other related organizations in the US. He is an active member of the American Headache Society and has been the featured speaker at the regional board meetings for the American Heart Association. He has written his first book, At Last, Freedom From Headache, which will be available soon from major retailers.